Valet services are available Monday through Saturday for dinner service. We are conveniently located in Louisville's Central Business District, within walking distance from public transportation. Vincenzo's catering is available for on-site and off-site events. On-site Vincenzo's can accommodate 5 to 150 guests. Please contact Amber Terry, for any questions, at (502) 580-1350, to arrange your event. Vincenzo's provides on-site and off-site catering. Vincenzos' on-site catering can accommodate from 10 to 150 guests in our "Courtyard" Dining Room, and 10 to 25 guests in our "Chefs' Room", along with an outdoor terrace that can accommodate up to 100 guests. The menus for catered events are customer driven with very flexible options. This was one of our best dining experiences in a while. The food was outstanding and I would recommend the fresh made-at-the-table ceasar salad. Excellent. The wait staff was friendly and helped make our special occasion special. Our server talked to another table for 15 minutes while l waited for the bill. Once again, Vincenco's provided a wonderful dining experience! The food and drinks were excellent. All of the staff were friendly and accommodating. They always make you feel welcome whether you are casual and ready to go to a concert, or dressed upscale to celebrate a special occasion. Need more dinner selections on the menu. Food quality is not up to par compared to the prices. Perfect romantic setting to enjoy a night out with someone special. Vincenzo's is one of my favorite restaurants which I like to visit for a dressy night out. 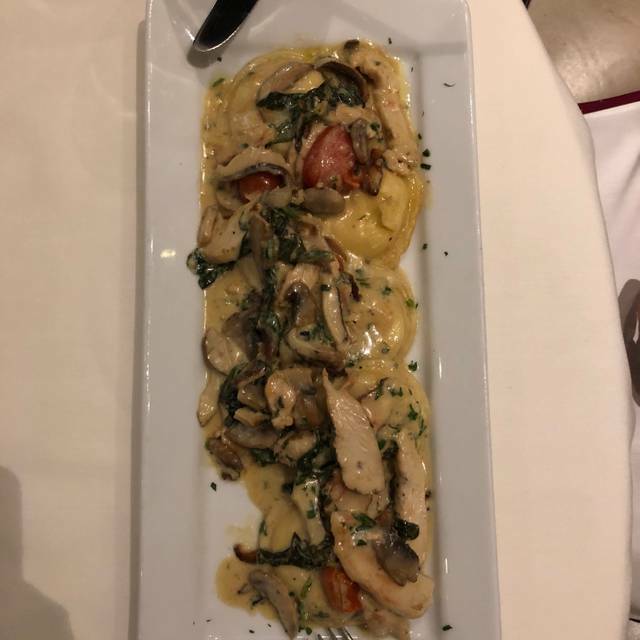 The service is always great and I have tried to sample the whole menu over time and never been disappointed with my meal. I like to take my grandson, so he learns what fine dining is like. We ate at Vincenzo’s before a concert. It was a wonderful meal. 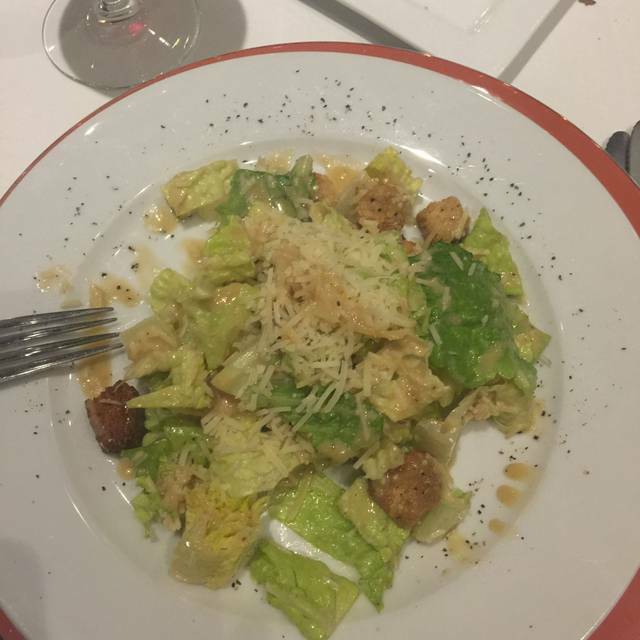 We started with Caesar salads which were flavorful and crisp. 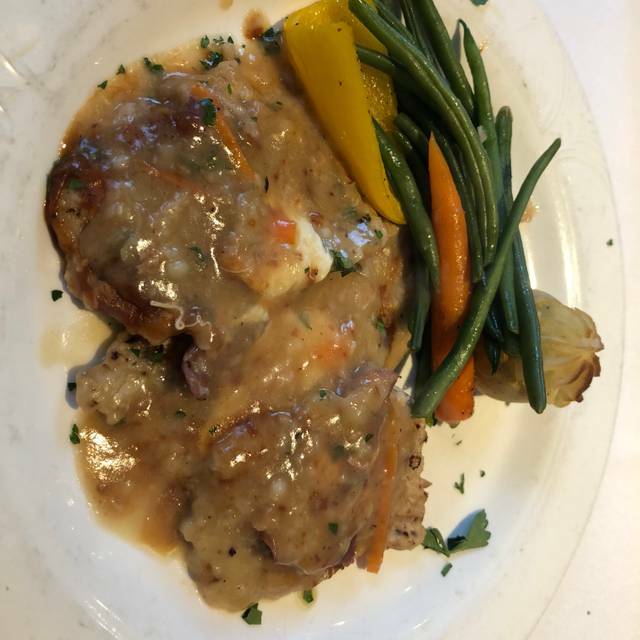 I had the veal Madeira which was the best veal I’ve ever ordered. My husband had the pork tenderloin which he enjoyed, although he wished he had ordered the steak. 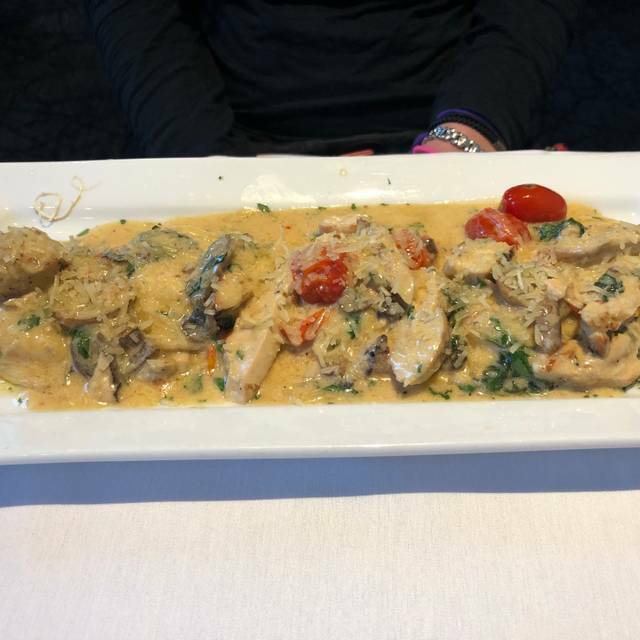 Our friends had the leg of lamb and shrimp pasta, and they both enjoyed them. Dessert looked amazing, but we were full from dinner and needed to get to the show. Staff was friendly and very attentive. A wonderful place for dinner. We will return. First night in Louisville to check out the Bourbon Trail and we wanted some Italian. Looked at other reviews and saw this place has some good ones and close proximity to the hotel. When we arrived we seated quickly as the restaurant was a little empty with only about 5 tables. Figured maybe light night being Wednesday. Limited pasta options on the menu but the two we got were really good. The trio of waiters that served us were all exceptional and one made a homemade Caesar dressing right in front of us that was awesome. Worth stopping by and having a nice meal with friendly and attentive staff. 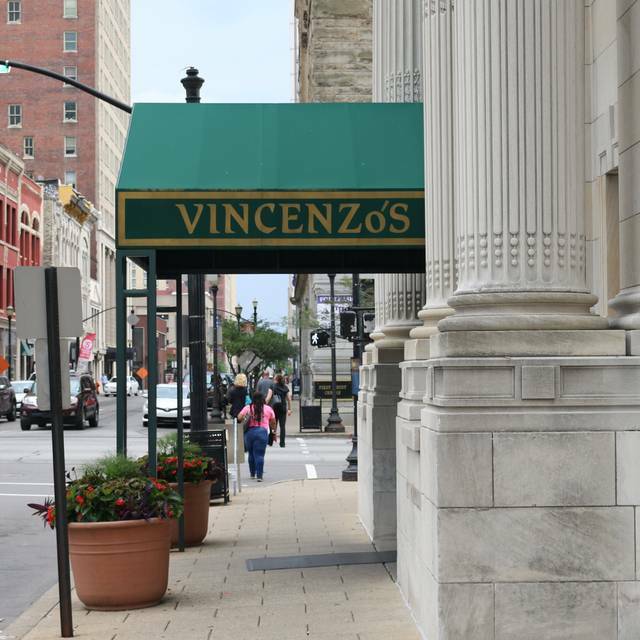 Vincenzo’s epitomizes what ‘real’ fine dining is all about with impeccable service, food & personal attention to customers who have special needs. I took my aunt there for her 70th birthday. She is on a walker and is legally blind. Mr. Vincenzo greeted her at the front door to wish her a happy birthday and the young valet was extremely helpful in helping her with entering and exiting the restaurant. 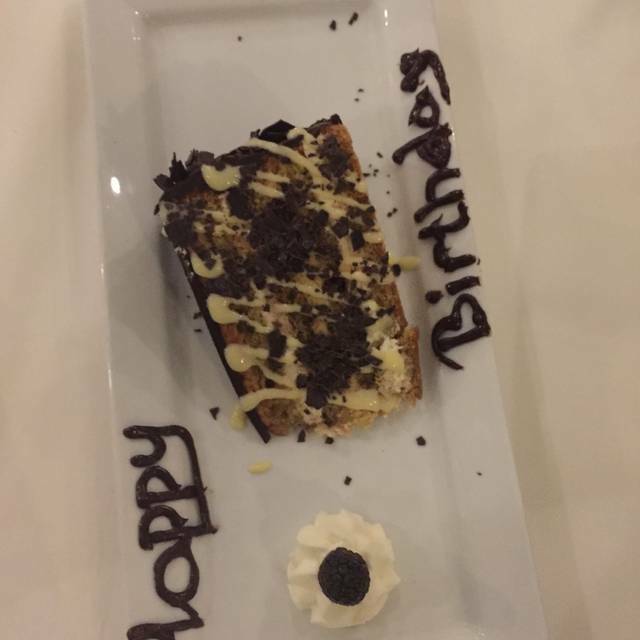 I want to personally thank the entire staff, including Mrs. Vincenzo who recommended the Tiramisu for dessert, which proved to be an excellent choice. I highly recommend Vincenzo’s for those who enjoy five-star dining!!!! I visit this restaurant frequently. The food is always outstanding as is the service. On this particular Saturday night, due to the NCAA basketball finals, the restaurant was completely full and unusually noisy. 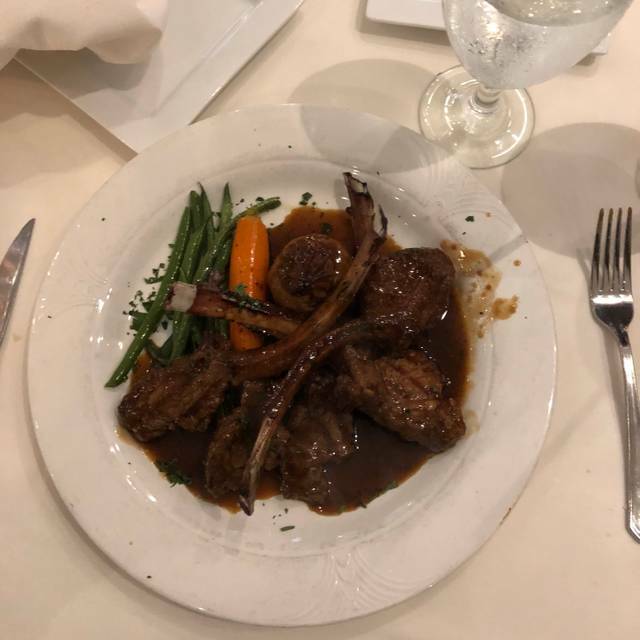 Nonetheless, I will always recommend Vincenzo's to locals as well as out-of-town visitors for its consistently high-quality dining experience. Wonderful food and service. When crowded, the noise level can be a bit high as the tables are close together. Went for a friends birthday. It was perfect!!! Took my friend there for a work lunch birthday celebration. Everyone was wonderful to us and wished her happy birthday. At the end of our lunch they provided us both a birthday dessert. The whole lunch was lovely thank you! Fantastic restaurant. I came here due to a friend's recommendation and gift a year ago and have returned for more. The food, ambience, and service can't be overstated. As a middle class individual dining at a high class restaurant, I was worried about the portion of the food compared to the pricing, but I was not disappointed! If you have the chance you should visit here when in Louisville. The level of service is like the old days of table side attention. The food is presented and plated table side which is a unique presentation. Reuben is fantastic. The meal was delicious and setting is always solid. Gormet food prepared tableside. Impecable service. Upscale dining at a not-so-upscale price. A dinner for two less than $70! True, we didn't have wine as my wife recently had a liver transplant, but still a great value! Definitely going back! Our dinner was perfect, amazing food and service! Vincenzo even heard me say it was my birthday and brought me the most amazing piece of Tiramisu with a candle in it. We will definitely go back when in Louisville again. It was our first time and we will definitely be back!! We had an amazing time. The food was made to perfection. The wait staff so professional and kind. Our waitress even took our picture. The overall experience was outstanding. What a great experience. We found the restaurant on OpenTable and needed to a table on a Saturday night. It was one of the best overall experience that I have had in years. The staff was great, the food was awesome and the atmosphere was splendid. If you are looking for a great meal and dining experience...this is the place. I will be back the next time I am in town. The food was simply phenomenal! Best saltimbocco I’ve ever had and the Caesar salad was chilled and tasty. Doug our waiter was knowledgeable and extremely pleasant and helpful. Good value at an extremely high quality restaurant! Excellent staff, we enjoyed a wonderful dinner, Thank You! It never disappoints! Lunch was fantastic., everything from the food to the service. 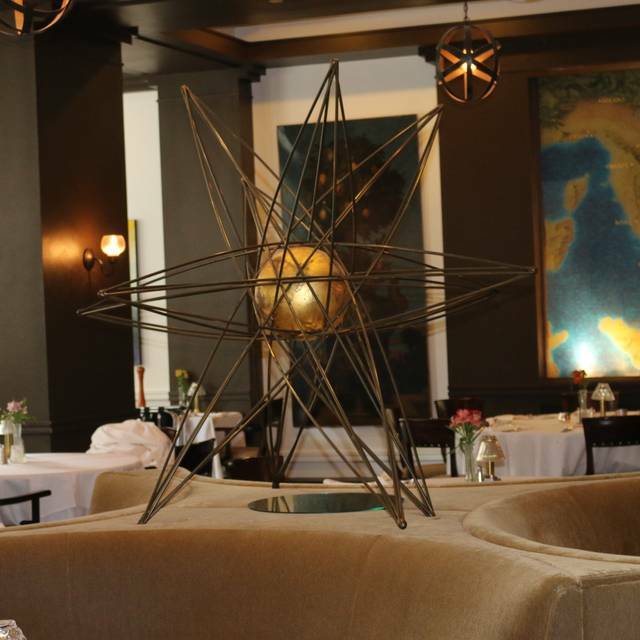 We loved the ambiance, food and impeccable service. Thank you Vicennzo. Great date night before play. Server was wonderful and food was surberb. Can’t wait to go back. Only issue was one large group of ladies were really loud. Pre show at Kentucky Center and Vincenzo’s was as exceptional as always. The food was excellent. We were seated next to a stanchion or wall, so not an intriguing view. We were offered bread, but I had to remind them to bring the bread. The server was a seasoned pro but seemed disinterested. As an example, when the meal was finished he didn't ask about dessert and when we mentioned interest in dessert he didn't suggest coffee. It seems that he spent the minimal amount of time at our table, but still got a 20% tip. We enjoyed our evening and the food and Mr. Vincenzo came to greet us and thank us which was appreciated. For my first time visiting this restaurant, I am so pleased to say that the experience was wonderful. The staff was polite, attentive, kind and professional. The atmosphere was quiet, romantic, clean and beautiful. The food was outstanding. My guest had the ravioli and it was delicious. I tried one of the specials, the red snapper, and it was made to perfection. Often times, ordering fish at a restaurant can feel like gambling, and this time I won. When our evening there ended, they wished us an enjoyable time at the show we were attending afterwards. Left us heading out with satisfied bellies and big beautiful smiles. Thank you vincenzos for such a wonderful experience! I’ll be back! Great wine recommendations. The food is always amazing! Service was top notch. This is a very special place, we thoroughly enjoyed our dinner before the show. Very accommodating to my special requests. Food was magnificent. Owners came by our table several times to check on us and everyone made us feel special. As usual the food was delicious not only does it taste good it's beautifully prepared and it's a treat for the eye. Nice atmosphere and a very attentive staff but food disappointed. 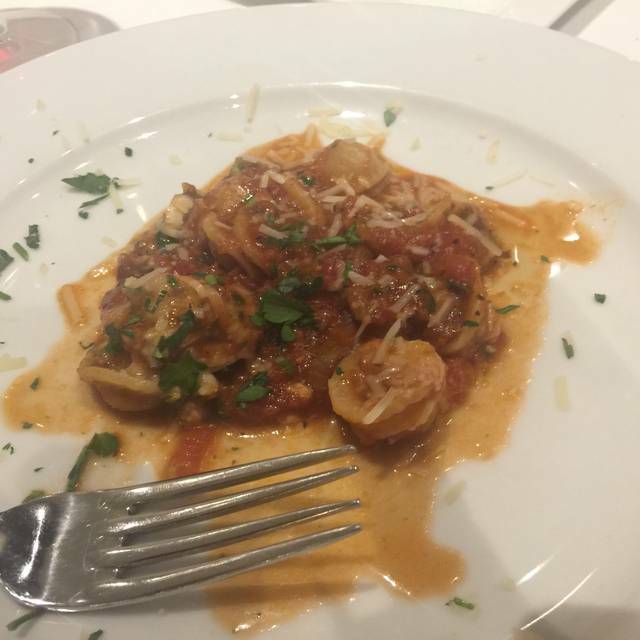 Gnocchi didn't taste homemade and in a $30 shrimp fettucine dish, I was disappointed to have THREE SM/MED SHRIMP! We went to Vincenzo’s and changed our numbers a couple of times. They were extremely accommodating and were helpful in getting us out on time, as we had an event to get to. Very friendly staff and management. Food was delicious!! I’ve dined at Vincenzios on many occasions but not in recent years due to relocation out of state. The occasion was my son’s Birthday. We arrived and were seated in a very cold corner. Initially it was very busy and load, must have been an event in city that evening as it cleared out shortly after. We had two servers. One was pretty attentive, the other seemed to go thru the motions. My son and I each ordered an appetizer, Cesar salad & entree. The salad was enormous and neither of us could finish our portions. Feel that server should have made the recommendation that we share due to its size. Our entrees came and were good but we were both so full that we barely ate much of the entree and took them to go. Our bill was over $170, which I find quite expensive. Don’t recall their prices being this high. I dined at many high end restaurants but felt our dinner was over priced. The next day but my son and I were not feeling well so our left overs were thrown away. I've never had a bad meal at Vincenzo's! The quality of the food is always excellent beautifully prepared and looks as good as it tastes! The wait staff are true professionals they never hurry you but they always show up right before you need them! A great dinner pre-anything at KC of Arts, service from our waitress Sonya was excellent, was quiet enough for conversation. Food was great with a rich Nebbiolo. I have been eating at Vincenzo’s since it’s opening many years ago and can’t remember a bad experience.